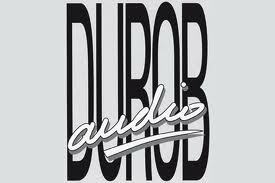 Durob Audio distributes different high end audio brands in the BeNeLux and in the past Durob Audio was also the European distributor for Koetsu cartridges. The Koetsu cartridges were manufactured by Sugano Yoshiaki. Dave Fletcher (from Sumiko and also designer of The Arm) handled Koetsu business in the US and Durob Audio in Europe; each of us getting around 30 cartridges per month, delivery strictly prepaid. Communication was quite difficult with hands and feet and a German dictionary since Sugano’s daughter only spoke a bit of German next to her native language. That created very funny and expensive situations while I was trying to talk to her over the phone in the middle of the night in German; the first 5 minutes were not much more than Hallo, Hallo, Hallo… until the operator, listening to us, interrupted us to say “this call is going to be damned expensive if you only say Hallo!”. To be continued. This entry was posted in Algemeen info - Informations générales, Distributors, PrimaLuna, Technology, Versterkers - Amplificateurs. Bookmark the permalink.